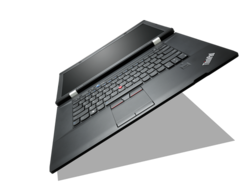 Lenovo’s popular and successful line of ThinkPad notebooks is about to see a 2012 update to its L Series with the 14-inch L430 and 15.6-inch L530. The L430 and L530 are expected to supersede the present L420 and L520, respectively, which feature full-voltage Sandy Bridge Cores up to a fast dual-core Core i7-2640M. 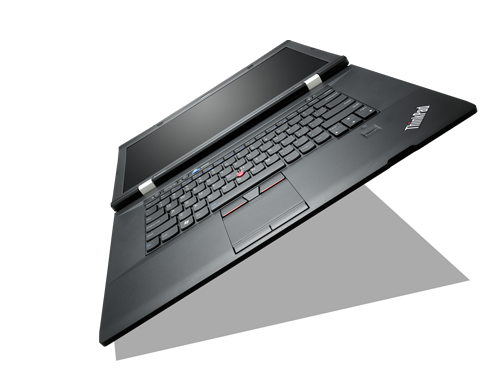 According to Laptoping, the Lx30 series could introduce Ivy Bridge CPUs to the mix, which should add even more to battery life than the already impressive 11.5-hours that Lenovo is claiming with the current Sandy Bridge models. Beyond the unconfirmed 3rd generation Core ix update, not much else is known about the new notebooks. Lenovo is advertising the notebooks as MilSpec-compliant for durability and a balance of productivity, mobility and reliability. Of course, the Chinese manufacturer intends to preserve the eco-friendliness of the lineup as well with high grade recyclable manufacturing materials, something that the L Series is well-known for. The product image preview of the L530 appears to be sporting the new AccuType keyboard similar to the one in the upcoming ThinkPad T430u Ultrabook, as noted by Laptoping. While prices have not been officially disclosed, the new L Series notebooks are scheduled to be in stock by this June for a likely starting price of $600 to $700.